At J.P. Morgan, we are committed to doing business in a way that benefits our clients, employees and shareholders, and has a positive impact on the communities in which we operate around the world. We see these goals as complementary, not mutually exclusive. Our business approach is grounded in the belief that we do the most good by doing what we are good at — developing market-based solutions that enable our clients to meet their strategic goals. We believe we have a unique and fundamental responsibility to help our clients and communities navigate a complex global economy and address their economic and social challenges. We use our strength, global reach, expertise, relationships, and our access to capital to make a positive impact in cities around the world. 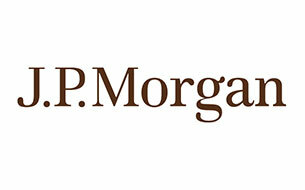 And every year, J.P. Morgan and our employees donate significant amounts of time and money to help local charities. J.P. Morgan works with community partners to create pathways to opportunity by supporting economic growth, workforce readiness, and financial capability in the communities where we do business.